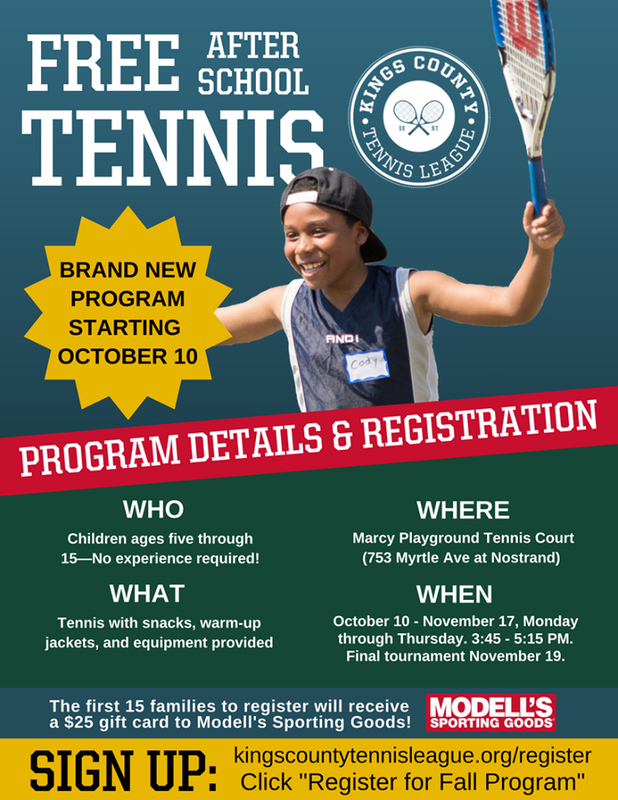 Fall After School Tennis at Marcy is a Go! It's official; we are breaking tradition—for the better. KCTL is opening a brand new Fall After School Program at Marcy Playground, Monday through Thursday, beginning October 10 to extend engagement with our students following the Annual Jamboree Tournament. Though the lessons are based at Marcy, students from all five sites are eligible for participation. This high-intensity athletic program will give our kids the opportunity to drastically improve their tennis skills with constant play. Thank you to all of the donors and supporters who have made this initiative possible.